I am sitting up late after midnight on Wednesday morning because I cannot sleep. 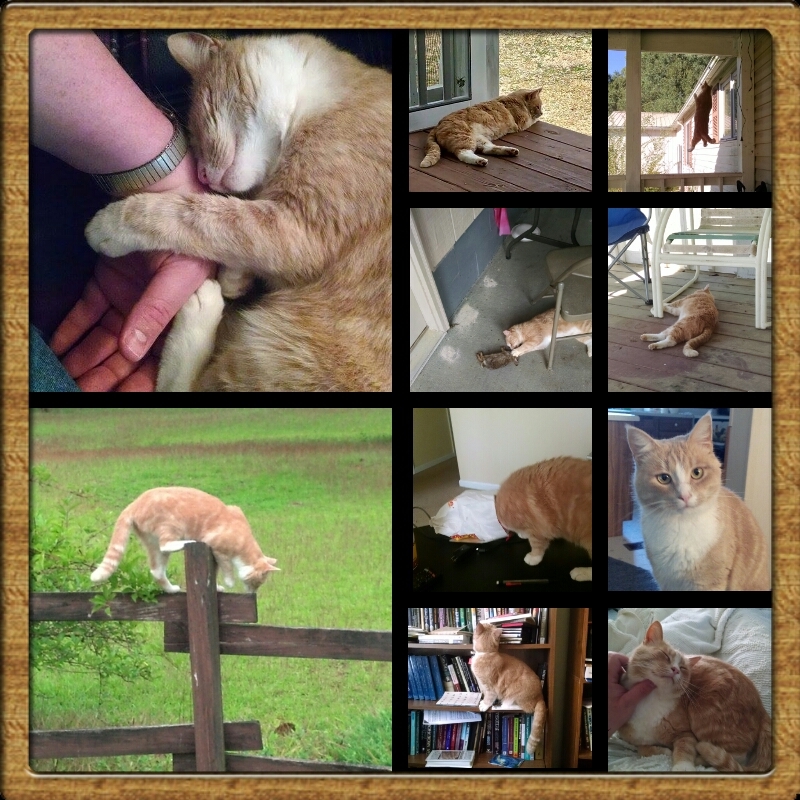 Last week I told the story about how my cat Oscar came into my life and that he has been diagnosed with feline leukemia. The vet treated him, and after he came home he was somewhat better for a day or two, but then he quickly grew worse again. He is scheduled to be euthanized this afternoon. I second guessed this decision a few times at work yesterday, but I see no alternative. He refuses to eat because of multiple sores in his mouth. The only way to give him food is to force feed him with a syringe in his mouth. He hates that and fights me. A feeding tube with sedation is the only other means to feed him, but that is not an acceptable option. Even if I do not have him euthanized he will soon die from starvation, which would be a more difficult death. He now lies around the house with very little energy. His sweet personality is gone. He looks unhappy, and he may also have dementia. The virus took him at an amazing speed. He will not recover, and does not have long to live, but at least I can end his suffering. Oscar’s current condition is a significant contrast with his life before he fell sick. He did not trust strangers, but he was very affectionate to me. When I would come home from work he would come to the car to greet me. If I sat in my car for a while he would either lie down in the grass and wait or find something to do nearby while he waited. When I opened the door he would come to the door and nuzzle my hand and let me rub him. He would then follow me inside for some food. He loved spending time outside, but when he was inside he would often sit in my lap to nuzzle my chin or just settle down and relax with his paw on my arm and his head on my stomach. His purr was often silent but strong. I could feel it in my lap. One time when he was next to me on the couch he pulled my hand toward him and held it like a teddy bear. He was also adventurous and tough. He could intimidate both of my sister’s cats who were bigger than him. He was an avid hunter. He killed and often ate mice, chipmunks, maybe one small rat, rabbits, squirrels, flying squirrels, birds, bugs, lizards, and snakes. (He never ate snakes. He only bit their heads off.) He would explore outside at night with many wild animals roaming the woods surrounding the property. I even saw him stand up to a raccoon. Oscar has been a great blessing to me, and even though I have had him for only three years, he has meant more to me than any other pet. It is amazing how close a person can be with an animal. Pets truly are family. For the past few days I have often thought about the closing monologue in the movie Marley and Me. “Give him your heart, and he will give you his.” Unlike a dog, a cat may give his heart to only one person, but he will love that one person. Oscar loved me, and he made his love evident. He will be missed.